Are you constantly questioning how to get more Twitter followers? Social media currently seems to be the best way to really rope in your readers and remind them to come visit your site regularly. I happen to find Twitter to be one of the most elusive and confusing of the networks, and I think a lot of others do, too. So, last month I decided to really concentrate on Twitter and try to figure out how it works a bit more. On 5/6/13 I had just over 8,500 Twitter followers. I first started using Twitter 3 years ago in 2010. I hadn’t yet started blogging and, honestly, I didn’t really care much about interacting on social media, mainly using it for the purpose of entering sweepstakes/giveaways and keeping up with some news networks. In just doing that, I gained about 2,000 followers. So, in April of 2011 when I decided to start blogging, I of course opted to use that Twitter account since it had a head start. In my first year of blogging I did a lot of giveaways, which helped me get to about 8,000 followers on Twitter as of late last year. After I stopped doing a lot of giveaways, my increase in Twitter followers became really stagnant and most of my followers were those that were still interested in giveaways/sweepstakes. Since there are millions of people on Twitter, I was left wondering why it was so easy for me to get new followers 3 years ago and so difficult now. In thinking about what I did at the beginning, I realized that in 2010 I pretty much followed everyone back, which was something I definitely didn’t do now. So, I started with following people that followed me back along with a couple other important tips. 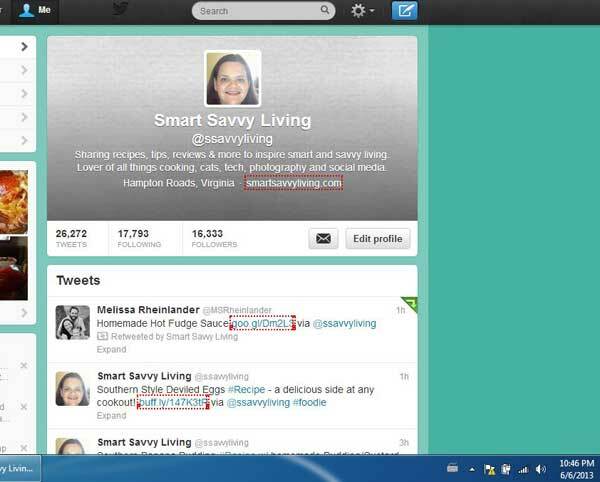 As you can see in the screen shot below, it totally paid off as I was juuust shy of doubling my followers. Here’s what I’ve been doing for the past month to get more Twitter followers and interaction. By 6/6/13, my Twitter following had nearly doubled to 16,333. I also have more people than ever interacting with me, retweeting and favoriting my tweets, along with more traffic to my blog from Twitter. Followed new accounts daily – see my list of who I followed below. Unfollow accounts that didn’t follow me back within 4 or so days, not counting those that I wanted to follow regardless like a favorite blog or news network. Even if they follow me first, I don’t follow accounts with the default egg as their profile picture. While there may be some quality accounts, these are typically accounts for those not seeking interaction and just want to enter giveaways, spam, etc. You can only follow 2,000 accounts overall until you get 2,000 followers and from there the ratio stays very tight. This is why I will unfollow those that haven’t followed me back within several days. And you’re right. Luckily I’ve found a pretty awesome Twitter tool called JustUnfollow. JustUnfollow basically helps you do all of the above more efficiently and quickly than you could straight from the Twitter user interface. I don’t want this post to be a total novel, so I’ll go into detail about how to use JustUnfollow next week, though it’s pretty easy to figure out. There is a free version, but I do currently pay the $9.99 a month to be able to follow and unfollow more users a day. It’s also usable with Instagram. Disclosure: I was not compensated to write this post. I simply love JustUnfollow and Twitter and wanted to share how I experienced success. 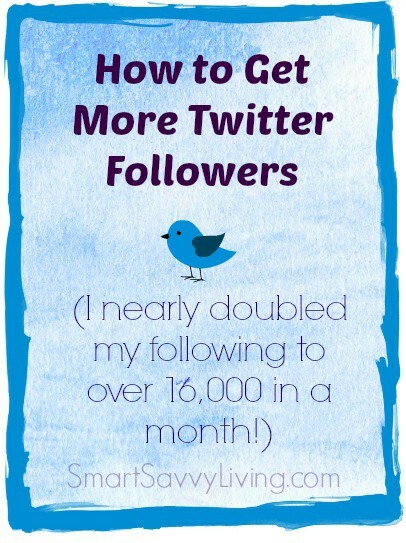 Be sure to check out our other blogging posts and tips if you enjoyed this post about How to Get More Twitter Followers! It is hard to keep up with everything. Getting followers is even harder. Special if you like us are promoting people to get new followers. Then your twitter account get banned. Will see how long the new one will stay alive. This is a really interesting post. I discovered you via twitter so your marketing efforts there are definitely paying off! I didn’t realise how important the number of tweets were. I’ve only been on twitter for about 4 months so I only have around 200 tweets – I might need to do some work there…. Hi, Lauren. In addition to all the follows and such, I definitely recommend interacting with others. 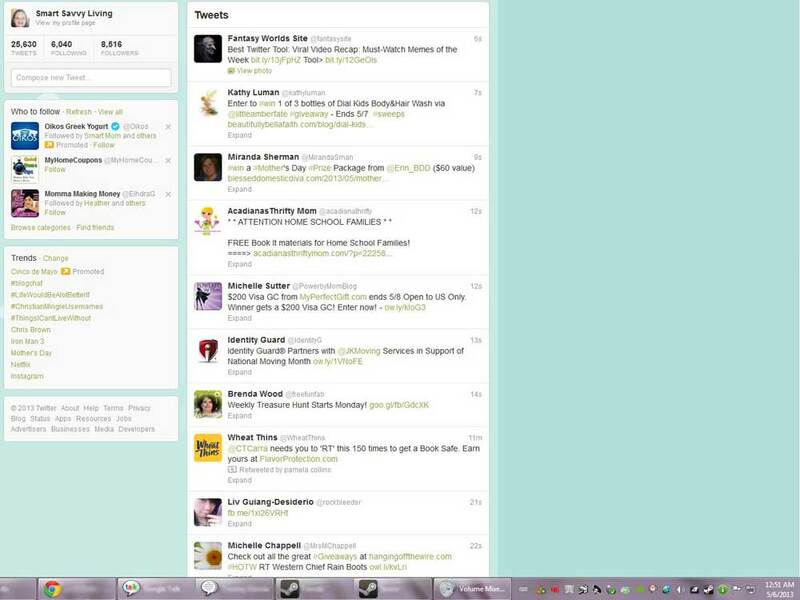 There are also services like Triberr.com to help you tweet out other people’s tweets. Between these 2 things you can expand your tweets in no time. :) Thanks for stopping by! Thanks for the tips! I use Pinterest, Facebook and Twitter, but I also find Twitter the hardest to use well and understand. Thank you for this! It seems like I get a tweet everyday saying a website can do this and did not know which one to trust. Hi Beth, thanks for stopping by. I get so many of those spammy tweets as well, often wanting you to buy followers, etc. I much rather do it myself and be in control of who I follow and JustUnfollow really makes the task so much easier. Thanks for this. I generally try to follow everyone back, but I can’t always do it. I have been meaning to clean up my twitter account for a while. I’ve been working really hard to clean up my facebook account lately, but twitter is out of control since I have over 16K followers! Yikes! Anyway, thanks for the tip. Thanks for stopping by, Ruth. It is very difficult to keep up with all the followers. I know that without JustUnfollow it would be pretty impossible for me! I appreciated your helpful article. Just as you did, I am trying to figure out how Twitter works in order to help my daughter with her new homebased (in my home!) business. Thanks, Nancy! I’m finding Twitter to be a lot more fun and a much better traffic source now that I have started following and interacting more. Best of luck to you and your daughter with her business!